Are you looking for a way to give your love the right importance, celebrating it in a unique way? 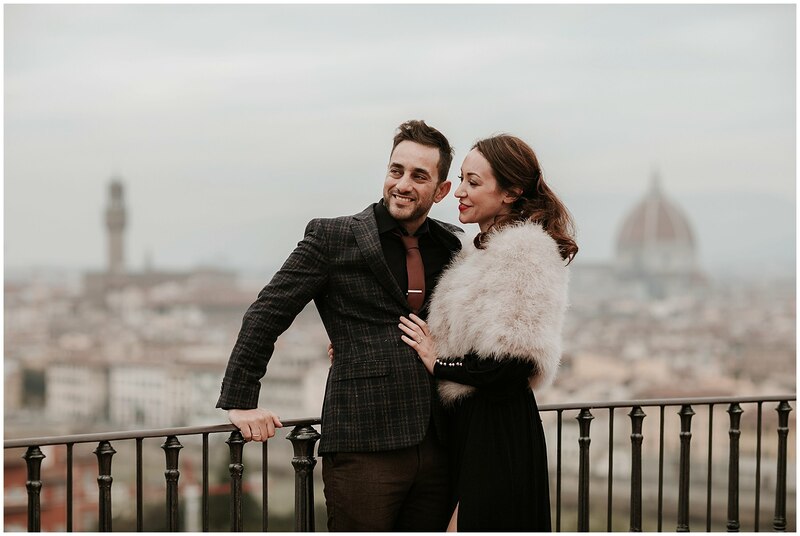 Then you should think about getting winter engagement photos taken in a beautiful city like Florence… let Eloisa and Kostantinos’s story inspire you! 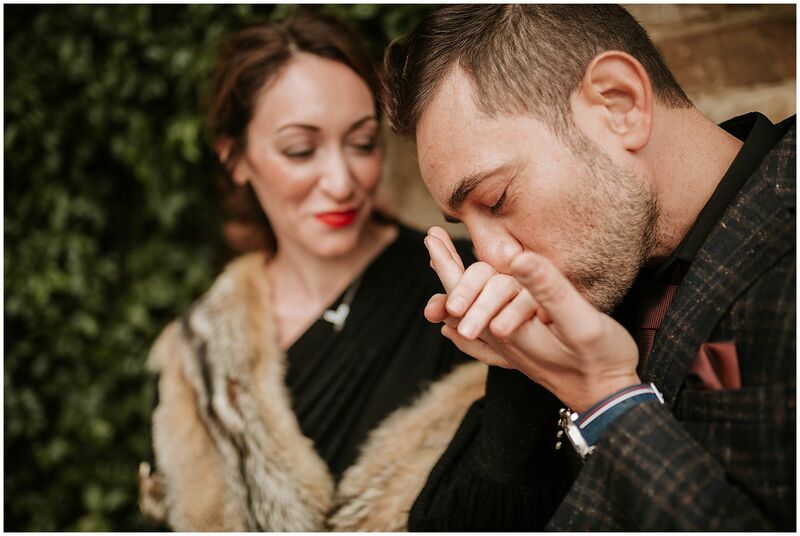 Eloisa is an elegant woman of Florentine origins, Kostantinos is a cheerful Greek man: they fell in love in Australia, where they currently live. 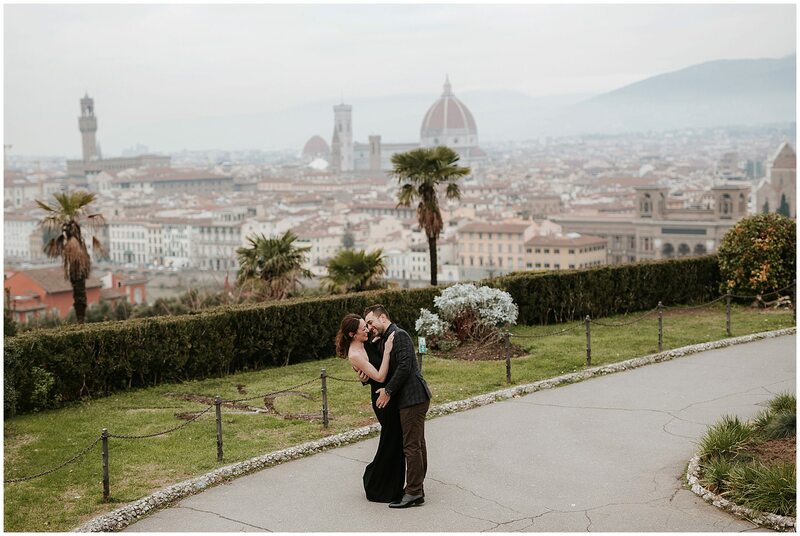 They chose to get married in Eloisa’s homeland, Florence, surrounded by the wonderful architecture and timeless charm of the city. 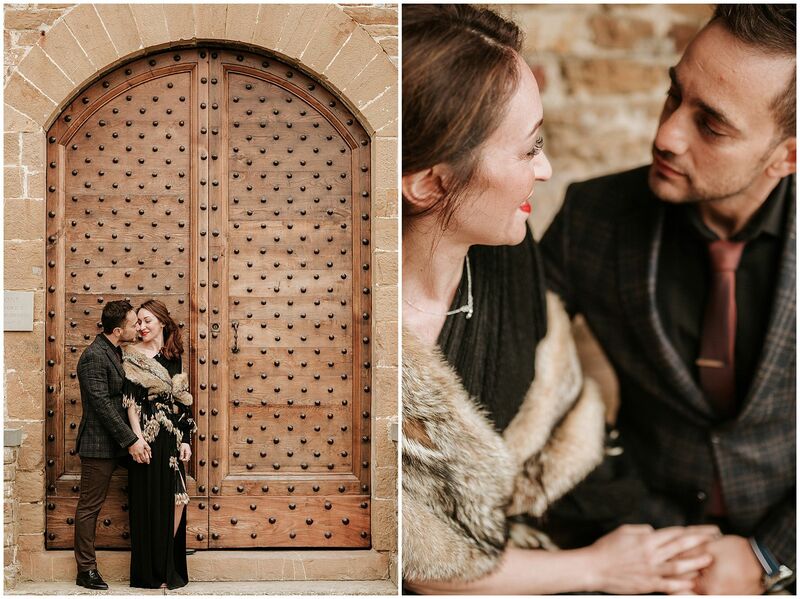 Before tying the knot, though, they decided to honor their love through stylish and delicate winter engagement photos. Stylish, because they wore two absolutely fashionable outfits, with a touch of vintage. 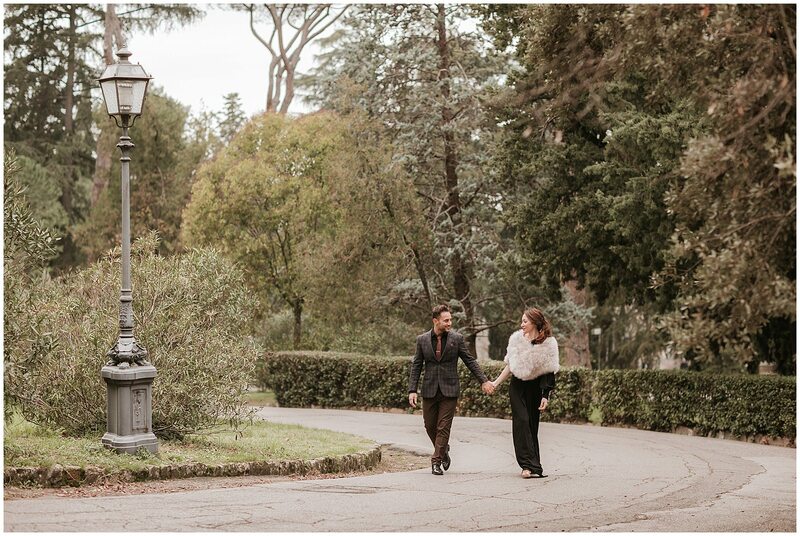 Delicate, because the suffused light of that winter day conveyed an ethereal atmosphere to the whole photo shoot. 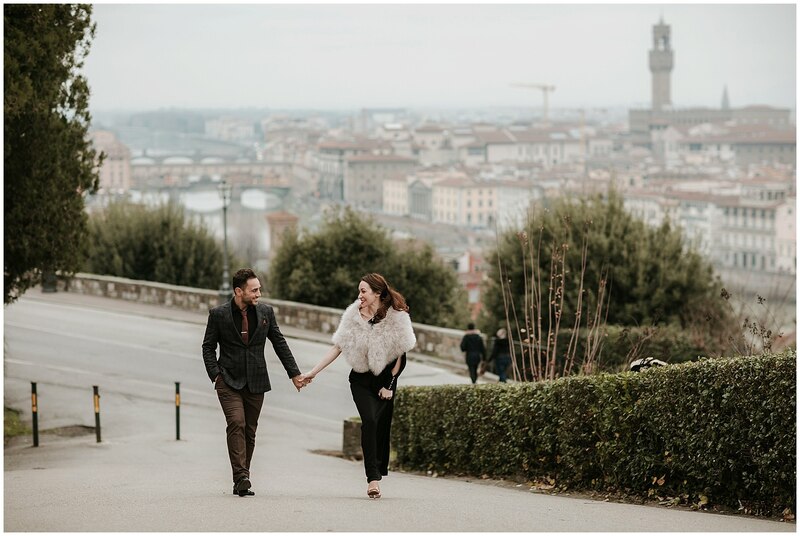 We took their winter engagement photos the day before the wedding, in some very special spots of the city – including San Miniato al Monte and Piazzale Michelangelo, where you can enjoy the best view of Florence. They smiled, kissed, laughed and even danced: love was all around, and the photo shoot allowed them to have a never ending memory of it! 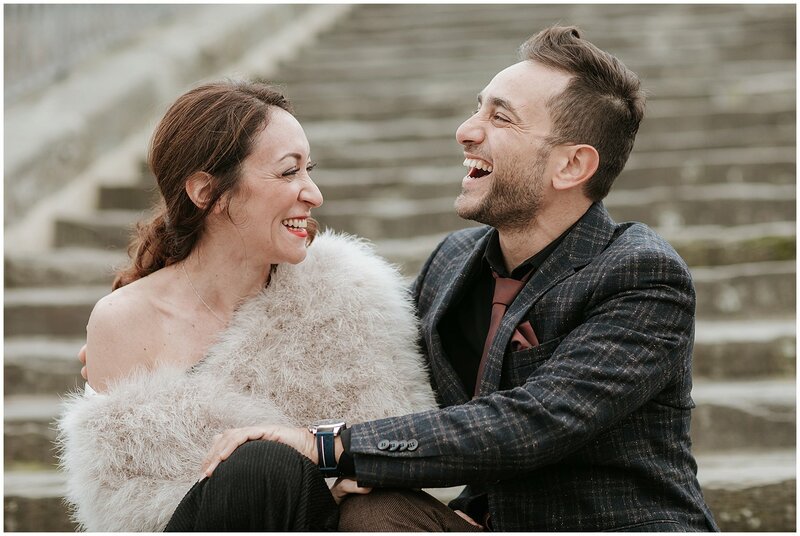 Having an engagement photo shoot is always a good idea: it allows your wedding photographer to get to know you, so that he can take even better photos during your big day. It’s also a way for the two of you to get more and more comfortable in front of the camera, feeling free to express yourselves. If you opt for winter engagement photos, there are even more advantages. 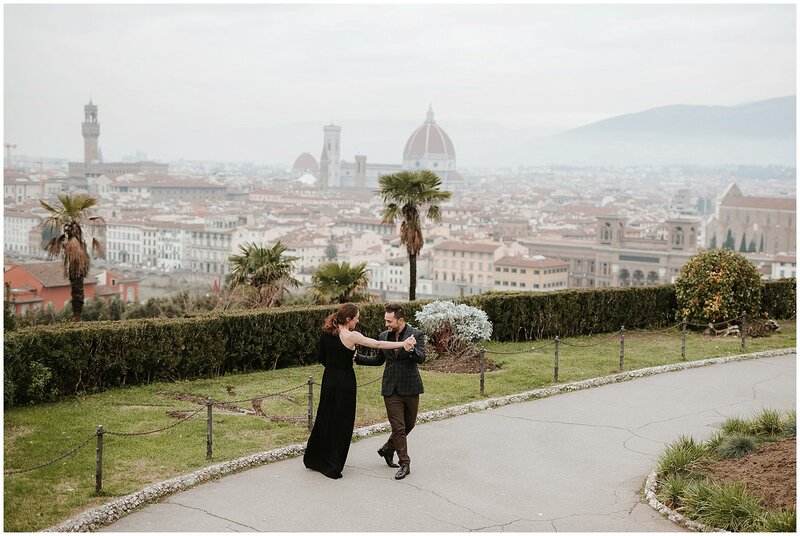 Florence, usually crowded, will be way quieter and you will have it to yourself. The light will be perfect: softer and more gentle than the strong summer sun, it will make the atmosphere misty and delightful. 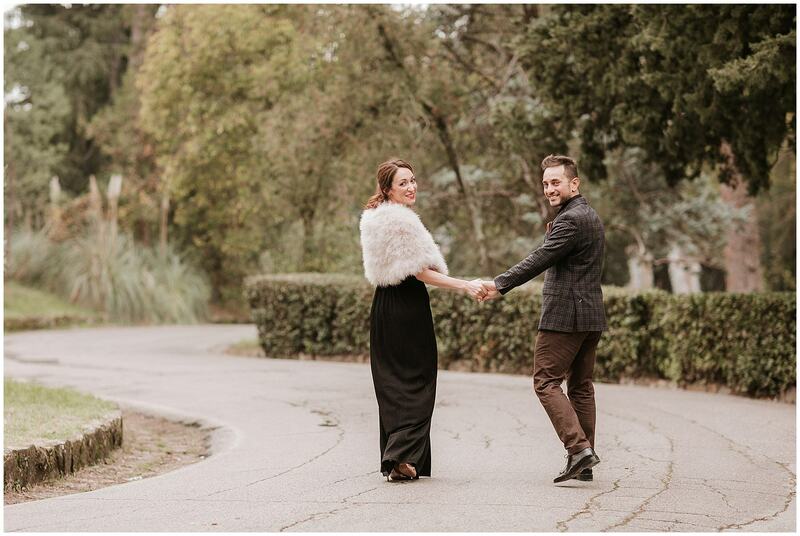 The chilly temperature will make you want to stay closer to your loved one: that’s why winter engagement photos end up being so much cozier than summer ones! 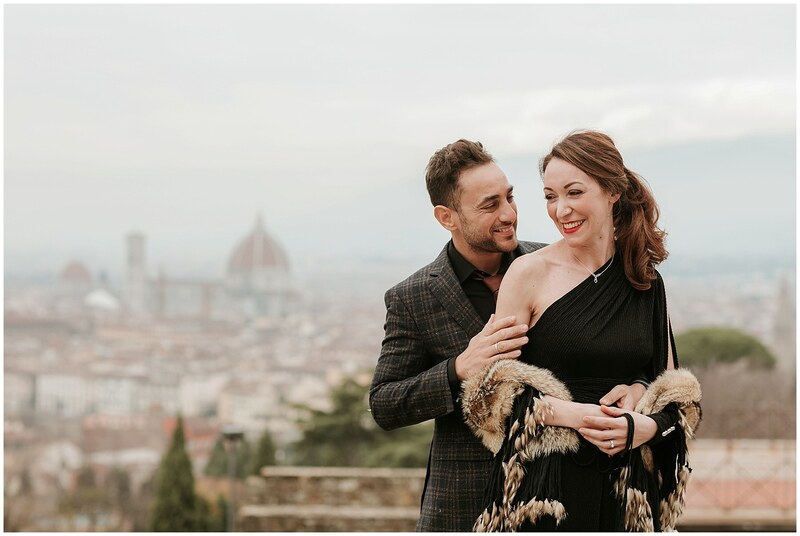 You should think about getting winter engagement photos taken in a beautiful city like Florence… let Eloisa and Kostantinos’s story inspire you! Are you looking for a way to give your love the right importance, celebrating it in a unique way? Having an engagement photo shoot is always a good idea!! 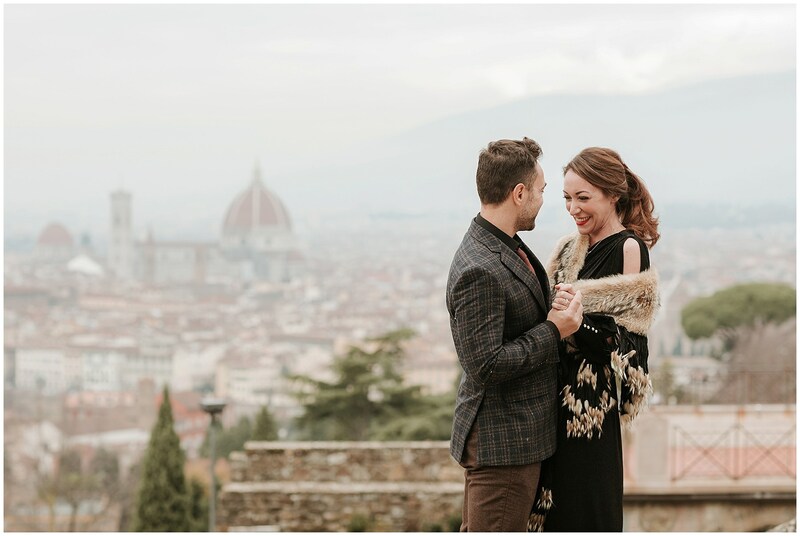 Winter engagement photos in Florence: a unique way to honor your love! 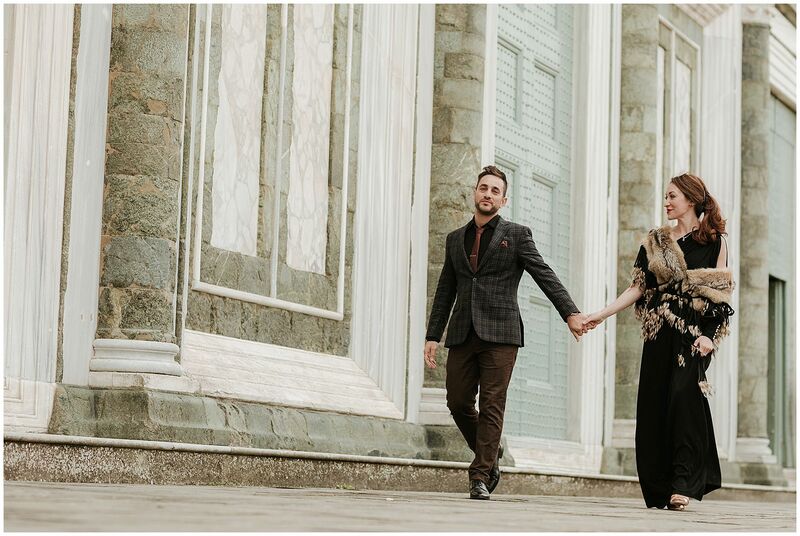 Having an engagement photo shoot is always a good idea! !